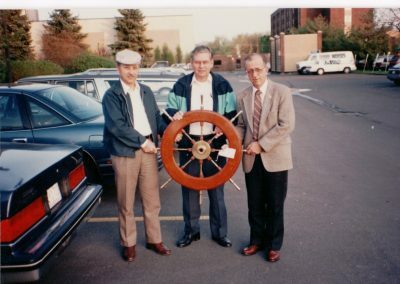 Around the same time that the USS Albany Veterans Memorial Committee was dissolved, Hilton Dana of Florida called Wayne Van Amburgh in late 1989 to discuss running the first reunion for the USS Albany shipmates. Over the next ten-month period, a reunion was planned and a program established that brought 224 people to Albany, New York for a reunion. 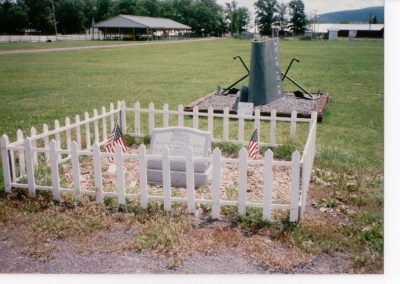 Several initiatives originated from this gathering; an association was formed, plankowners were established, officers were elected, and the USS Albany Heritage Exhibit Committee was formed. 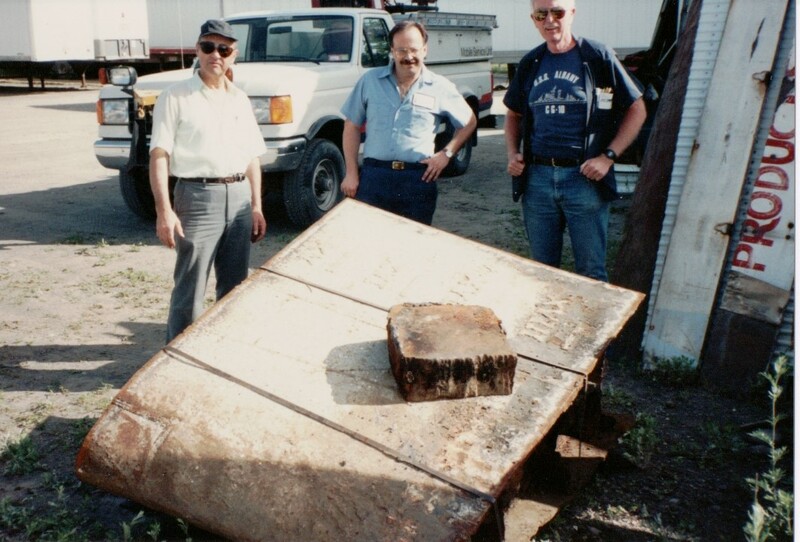 With a commitment to preserving history, the exhibit committee worked from September 1990 to locate and restore artifacts from all ships named Albany. 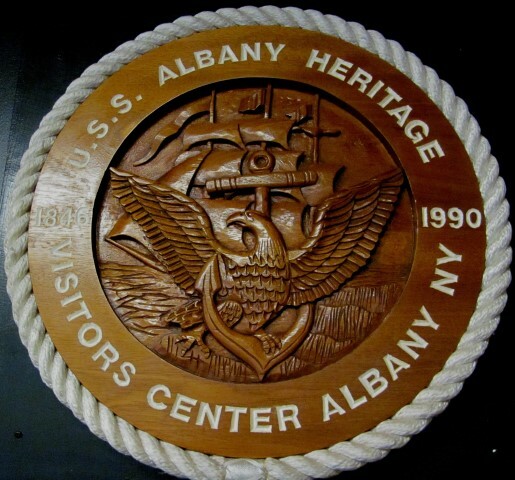 Finally, after three years, the USS Albany Heritage Exhibit Center opened its doors to the public on 02 September 1993. Richard Knapp, Norman Nilsen and Al Malcomson are deceased. 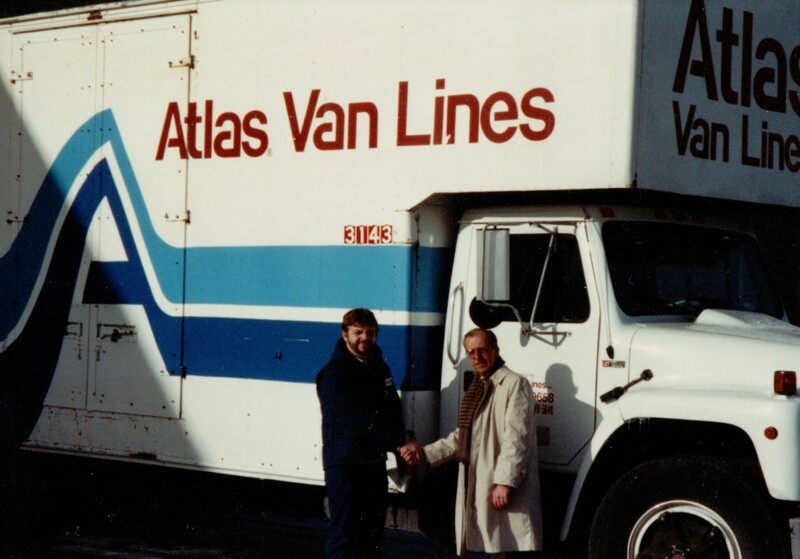 Wayne Van Amburgh, Chairman of the Committee, and Aldo Bursi have served on the committee since its inception. 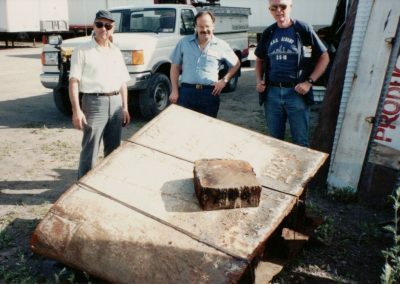 All five men worked diligently locating, collecting, refurbishing, and cataloging the artifacts from all USS Albany ships. 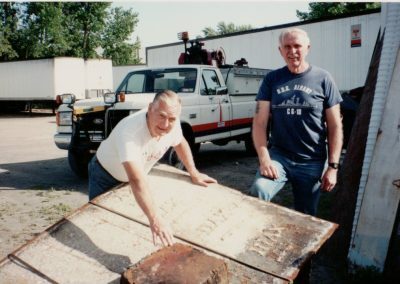 “Our main objective is to establish and maintain an exhibit to preserve the heritage of all ships named Albany and those who served aboard her”, said Wayne back in 1991. “Not only are we trying to preserve the naval history of Albany, but also to provide an educational center for residents and visitors to the city.” Those initial goals were met and the Heritage Exhibit continues to expand even today. The other person appointed to the Heritage committee and still a member, is Susan Cleary, former Director for the City of Albany Office of Special Events. What’s in the USS Albany Heritage Exhibit? It started with one large glass case holding items representative of each USS Albany ship. Included was an etching of the first Albany ship as well as a photo of the latest USS Albany submarine. 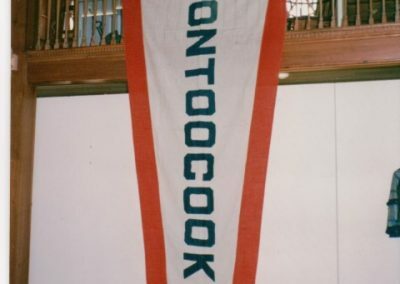 Small items such as pennants and awards from the other ships were also included. But the real challenge still lay ahead; where do we get the funds required to be successful in our venture? With literally hundreds of items sitting in Virginia and Washington, DC, it was estimated that $10,000 was needed to collect the artifacts and get them to Albany. 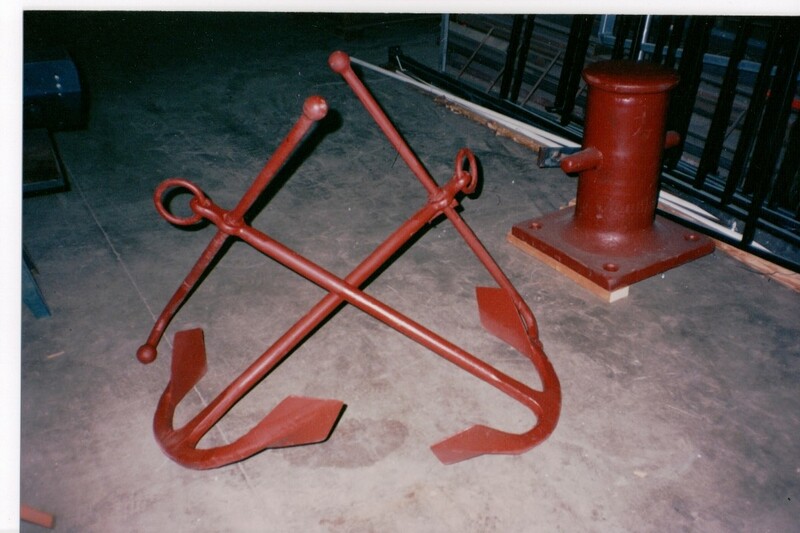 Some of the items to be moved included the ship’s bell, anchors, and a section of the ship’s bow. The city of Albany announced in 1990 that it had set aside 400 sq. ft. of space in the Urban Cultural Park Visitors Center to be used for a maritime display. 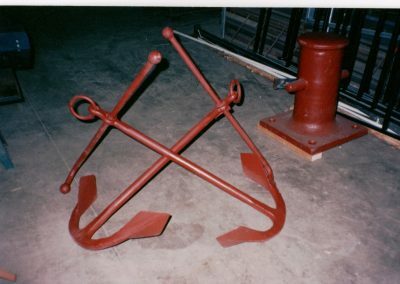 The Navy had stripped and warehoused some items from the CG-10. 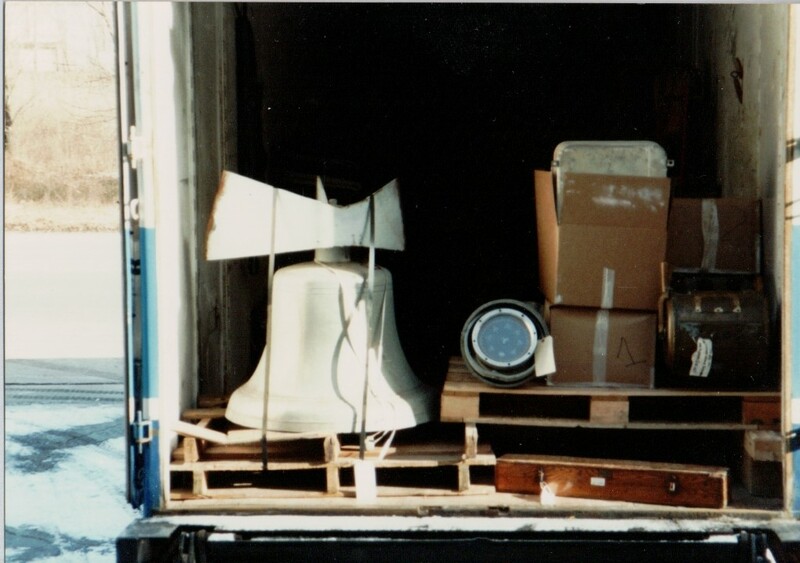 After 1-1/2 years and numerous phone calls the Navy prepared a shipment of items including the ship’s bell. 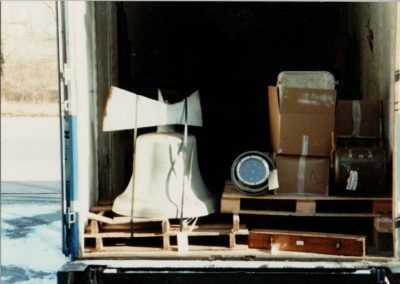 In 1991, the committee received various items from CMDR Anderson such as signed photos, newspaper articles of the submarine launching, flags, Union Jack and plaques. LCDR Joe Welenc, a charter member of the association, donated his boatswain’s pipe which he used during his tour of duty aboard the CA-123 as well as during the Change of Command ceremony of the SSN-753 on 8 November 1991 when CMDR Anderson was relieved by CMDR Murphy. 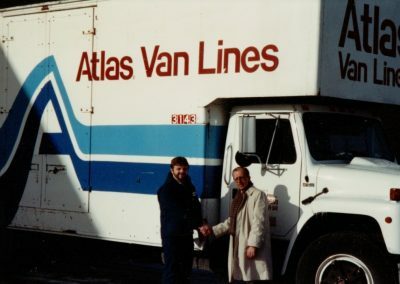 On 2 February 1992, the first shipment from the Washington Navy Yard was received. 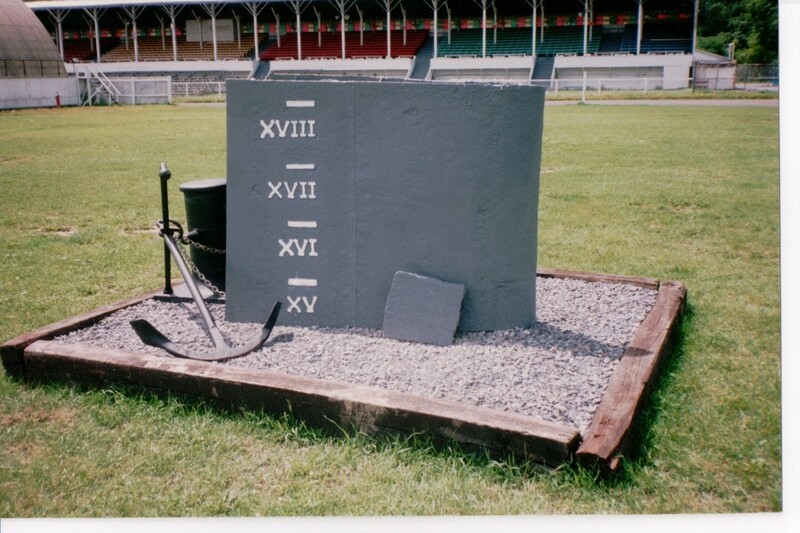 Items included the Ship’s bell, Engine Order Telegraph, Gyro Repeaters, Ship’s Clock, Spyglass, Azimuth Telescope, Temperature Probe, First Aid Box, accessory plate, various awards and plaques. 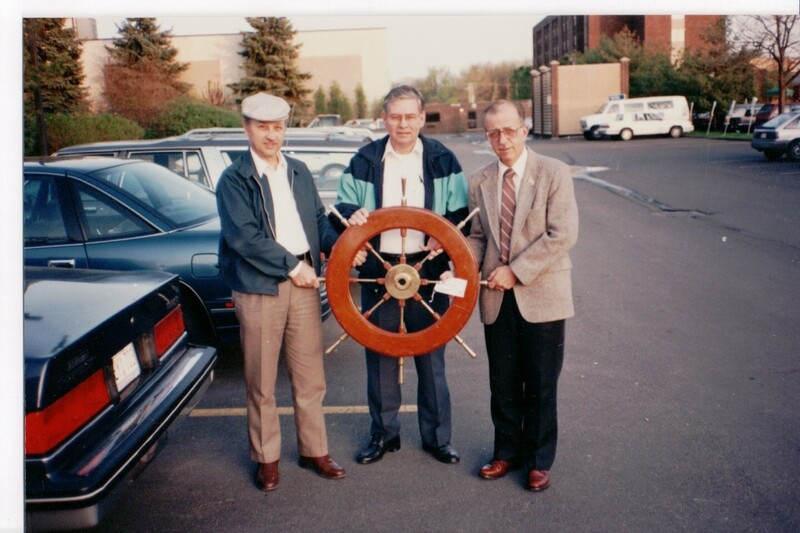 In May, the committee received the Ship’s Wheel off the CG-10 from the Navy Department. Admiral Pickett, first Commanding Officer of the CG-10 donated his Epaulet, hat, and sword holder. 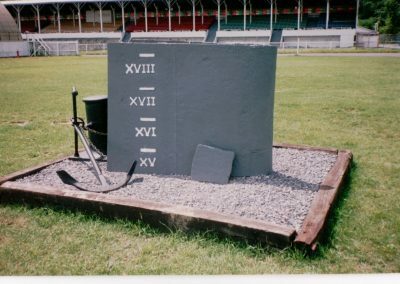 In September 1992, a small portion of the bow section of the CA-123 and CG-10, complete with water line markings, was permanently installed at the Altamont Fairgrounds. The piece weighing approximately two tons was donated by the Jacobson Metal Company. The bow section was obtained, transported to the fairgrounds, and installed at no cost to the association, all through donated time and services. 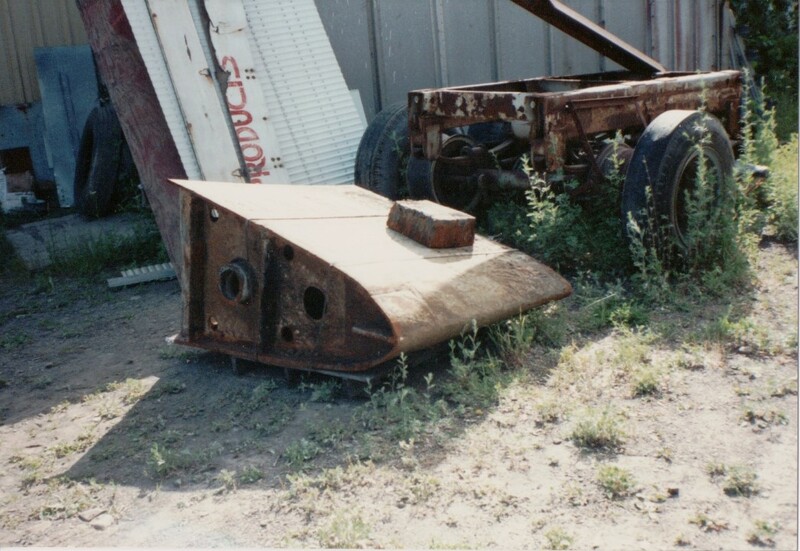 This item added a significant artifact to the Heritage Exhibit. 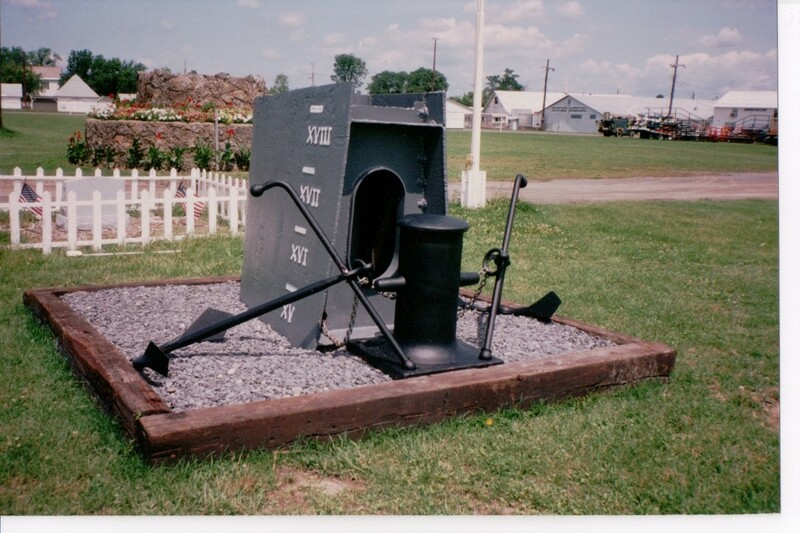 Although still on display at the Fairgrounds this will be moved to a new location and be the vocal point of the new USS Albany Memorial Park. 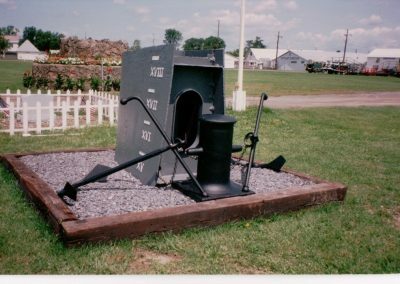 We thank the management of the Altamont Fairgrounds for honoring the memories of the ship with this display and their generosity to allow the heritage exhibit to move to a new location. Contributions of money were sparse but the committee could secure pictures and portraits of original ship captains from each Albany vessel along with artifacts from the cruiser and the submarine. 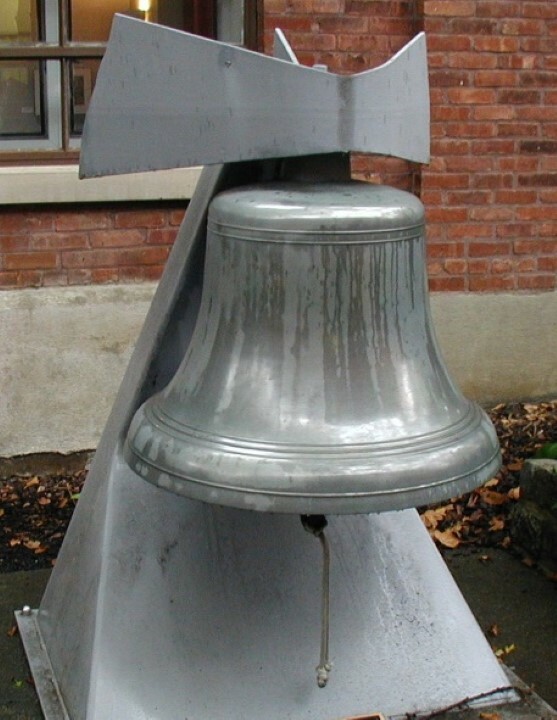 The ship’s bell from the CG-10, weighing about 1,500 pounds, was installed in the courtyard at the Visitors Center in April of 1993. Over the years, hundreds of artifacts have been collected and catalogued in the Heritage Exhibit. 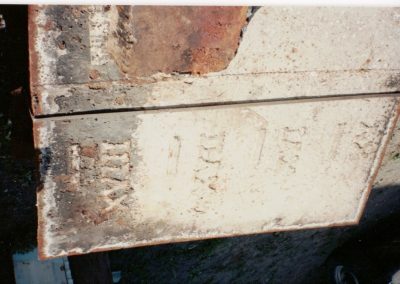 Numerous items came from former crew members from ashtrays to log excerpts. 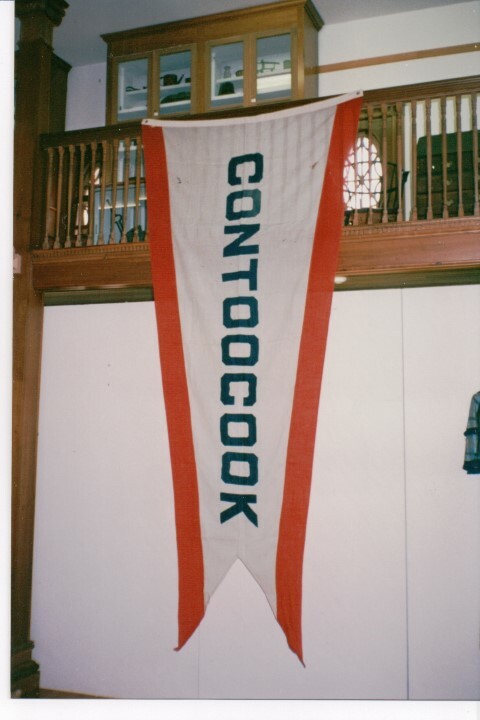 Arthur Colombo donated the original Commission Pennant from the USS Albany CA-123. 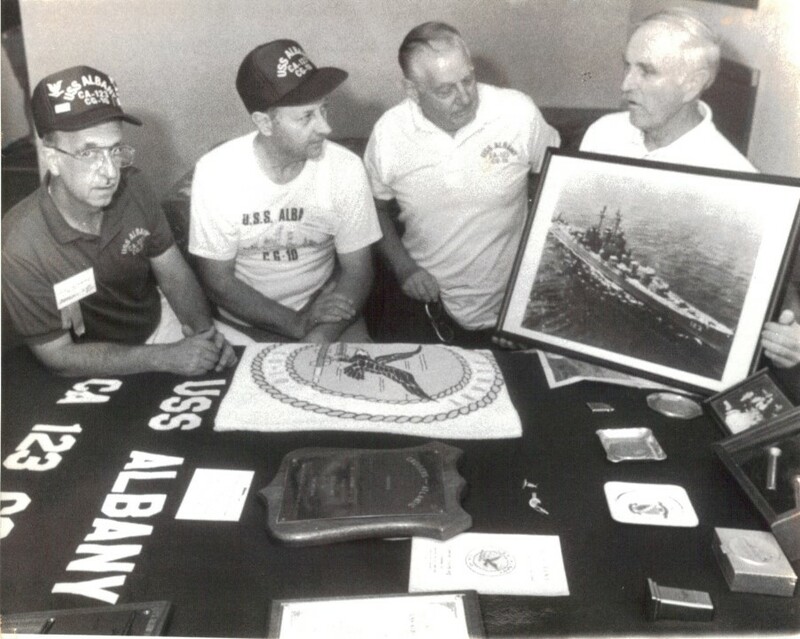 Former crew members and members of the USS Albany Association also contributed several thousand dollars to the Heritage Exhibit as well as thousands of hours. 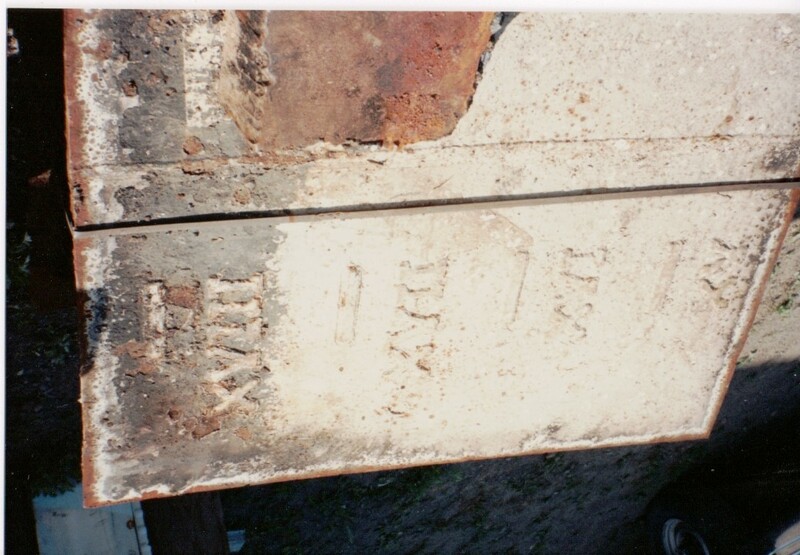 Bow section upon receipt. 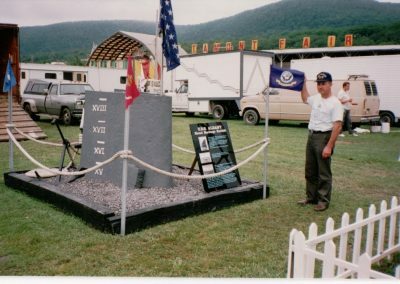 Last photos show’s current display. 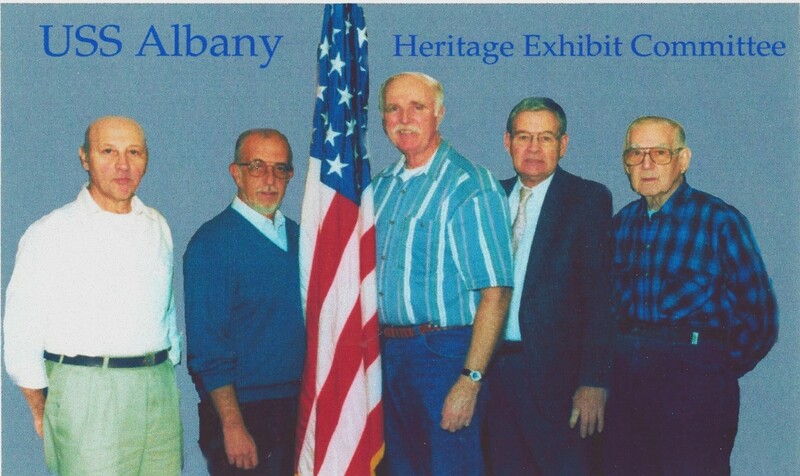 With the commitment to continue to make and preserve Albany history the exhibit committee worked from September 1990 to locate and restore artifacts from all ships named Albany. The task of dealing with federal and state government was very frustrating and very time consuming. 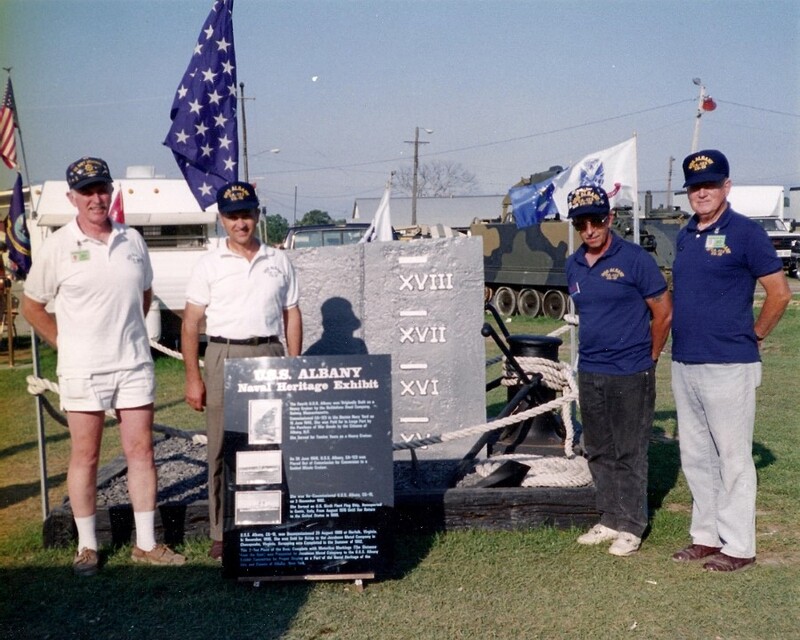 Finally, after three long years and much dedication of the five-man committee, the USS Albany Heritage Exhibit became a reality on 2 September 1993. “Today, we finalized the exhibit,” said Wayne Van Amburgh chairman of the exhibit committee. 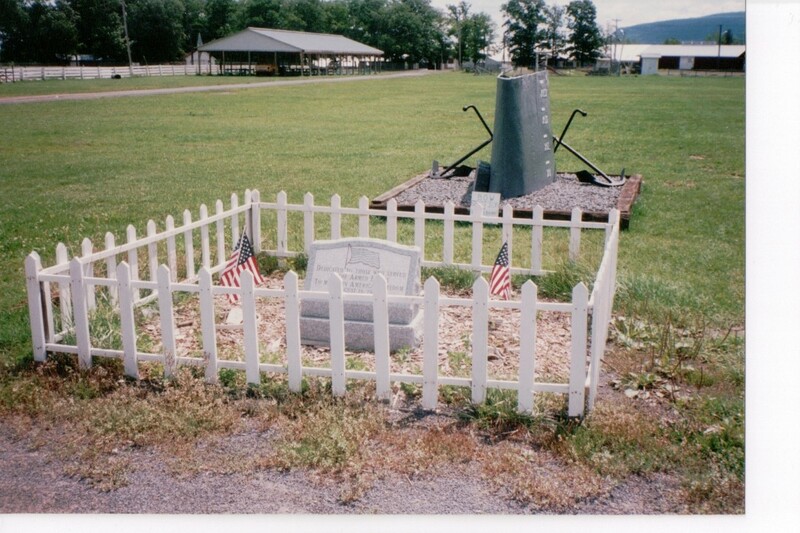 The dedication was in conjunction with the fourth USS Albany Association Reunion which drew 189 people. Although the Heritage Exhibit was dedicated in 1993, the process of continuing to locate and received artifices didn’t end. 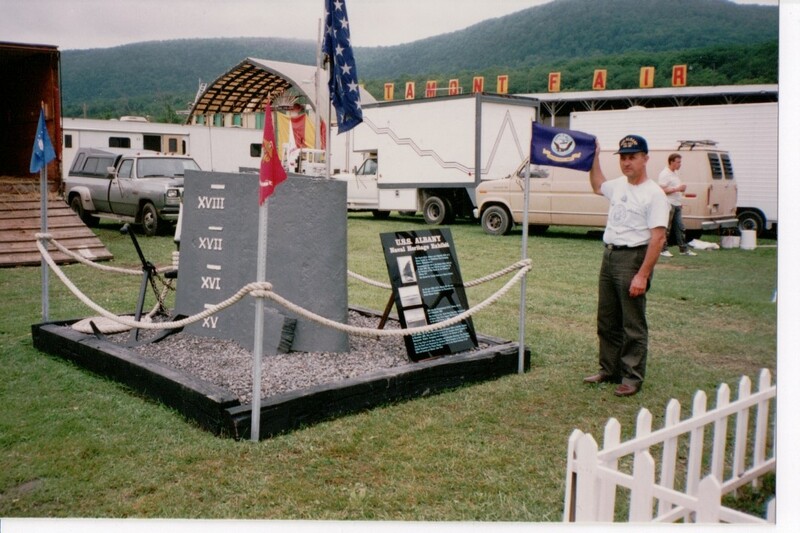 Since 1993 to present we have seen many changes to the Heritage Exhibit. Hopefully you will have the opportunity to visit Albany, NY and the Heritage Exhibit. The Exhibit Journey Goes on!